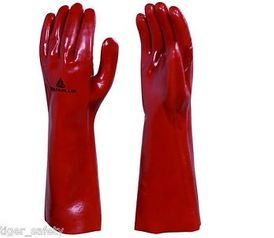 Made with premium natural latex compound for better tactile sensitivity and tensile strength. 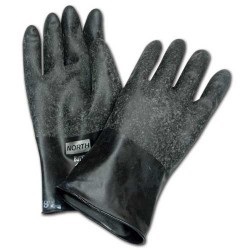 Specially designed contoured shape to ensure greater comfort and prevent hand fatigue. Specially chlorinated surface for easy donning & doffing and reduced allergy risk. Offers superior dexterity and sensitivity along with diamond embossed grip pattern that holds great in both wet and dry conditions. 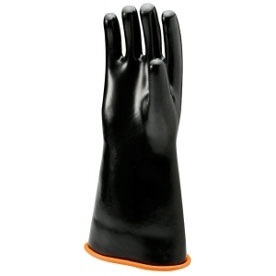 The preferred glove by many food processors and handlers. 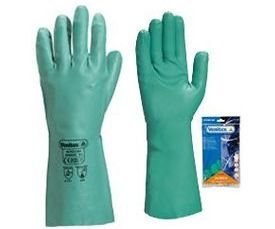 Premium-quality natural rubber gloves feature exceptional tensile strength, good tear, puncture and chemical resistance. PVC on cotton jersey lining. 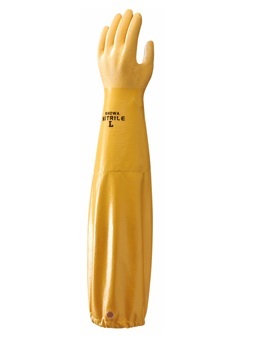 Excellent resistant to abrasion. Repels oils chemical products and petrol derivatives. 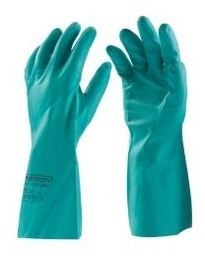 Nitrile gloves is a chemical resistant glove is manufactured from acrylonitrile butadiene compound with proven durability against solvents, oil, fats and bleaching chemical agents. 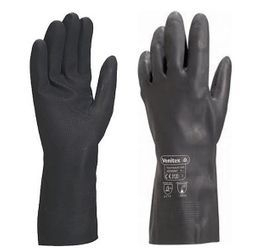 Made with specially formulated high performance Nitrile compound that offer better tactile sensitivity and tensile strength. Offer superior resistance against a wide range of chemicals which include solvents, common acids & caustics, alcohols, strong detergent, animal fats, oils and greases. Comply with US FDA CFR 21 Part 177.2600 for Food Application. 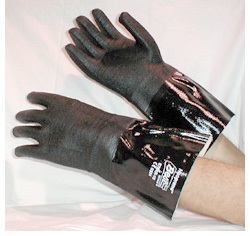 Sanitized, wet-grip gloves with gauntlet cuff design. Recyclable and multi-dipped in premium-grade neoprene for quality and durability. 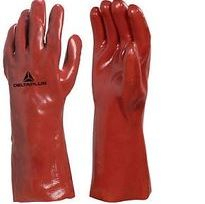 Protects against acids, caustics, oils, greases and many solvents. 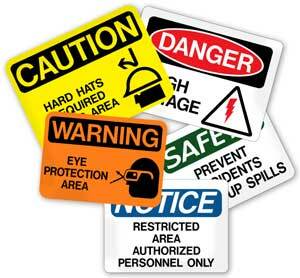 Comfortable yet provides protection against physical hazards such as abrasions and cuts. Rough finish. CFIA Approved. Made to have the highest permeation resistance to gas and water vapor for awesome protection, especially when you are dealing with toxic substances.